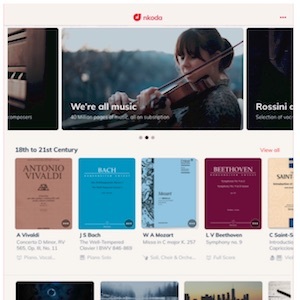 The GVIDO music reader aims to change the way music is read by merging the old with the new. 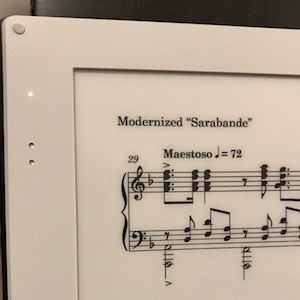 It’s a dual-display hinged device that can show two facing pages with a large display size for each screen, using e-ink technology. 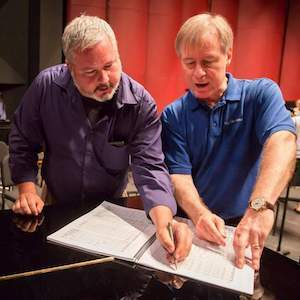 Our hands-on review explores whether the product is ready for the consumer market. 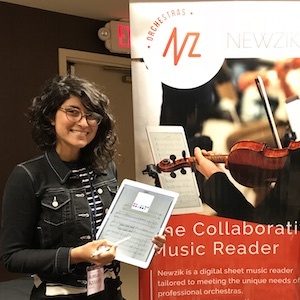 At the 2018 MOLA conference, I spoke with Aurélia Azoulay, Newzik’s head of marketing and international development and Netta Shahar, their orchestra specialist, to talk about how the app has progressed based on their real-world experience, including collaborations such as those with the l’Opéra de Rouen Normandie. 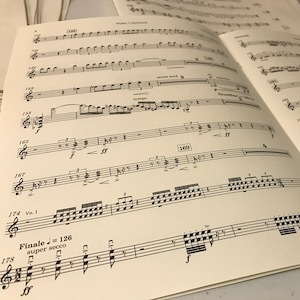 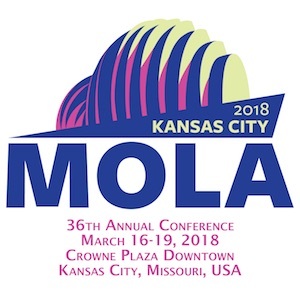 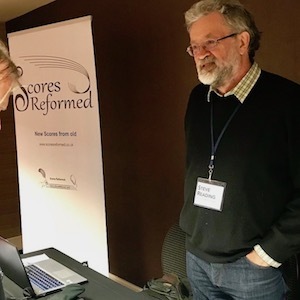 I’ll be attending and presenting at the 36th annual conference of the Major Orchestra Librarians’ Association (MOLA), hosted by the Kansas City Symphony and held at the Crowne Plaza in downtown Kansas City, Missouri from March 16-19, 2018.